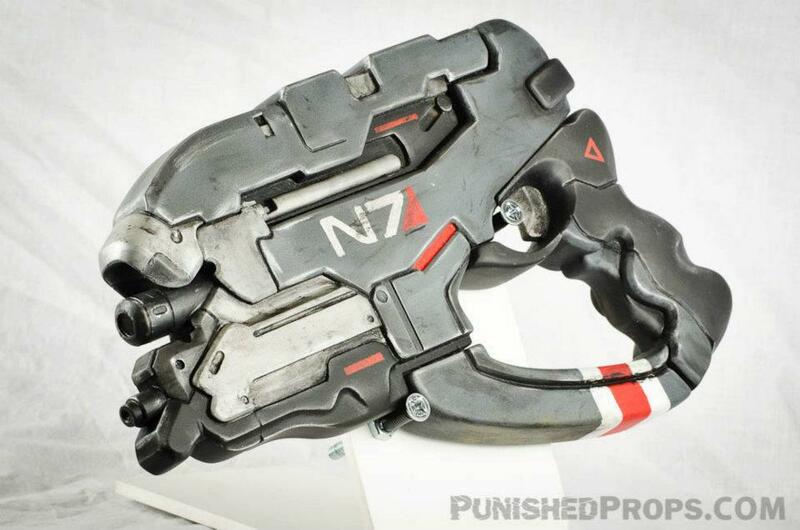 Bill Doran wanted to be a really cool prop maker, so he put together a killer Mass Effect 3 N7 pistol that was auctioned at the recent Child's Play Charity Auction Dinner. 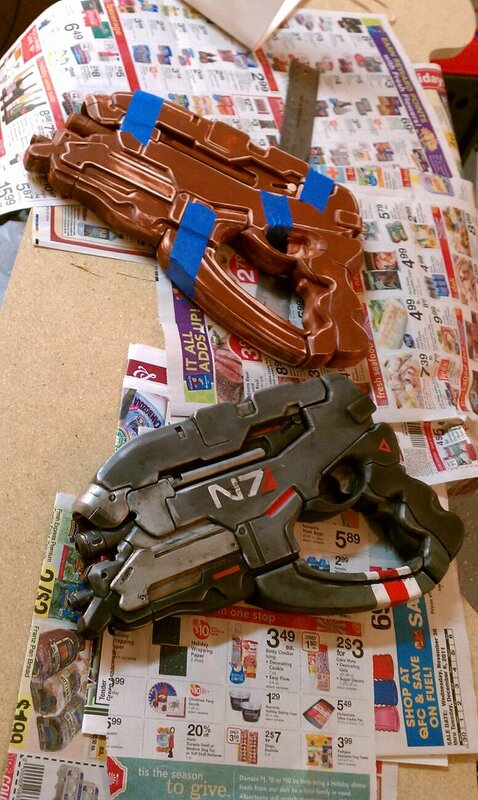 For the record, Bill Doran already is a prop and costume maker, but he recently realized that if he wanted to move into the ranks of the "cool on the internet," he'd have to come up with something from Mass Effect. 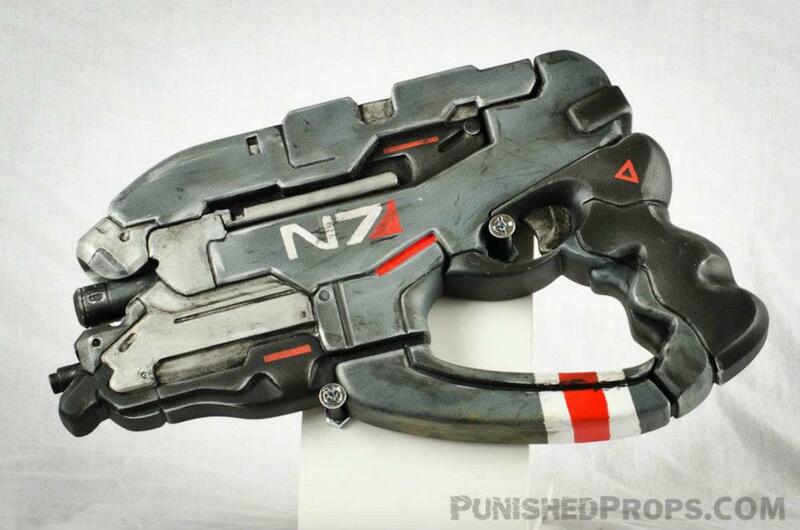 And even though the game isn't out yet and he had only a single reference image to work from, he settled on the N7 pistol from the upcoming Mass Effect 3. The results are nothing short of spectacular. 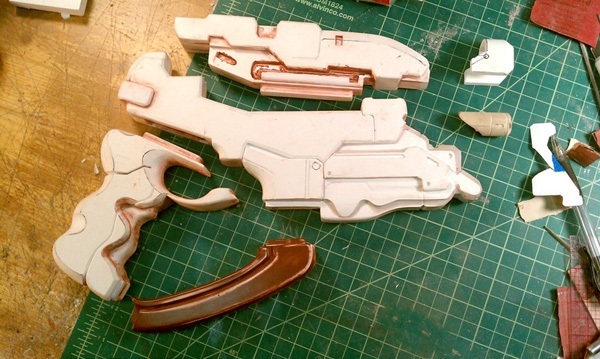 Doran detailed the construction of the gun on PunishedProps, where he said that 95 percent of it was made from "scraps of foam PVC, epoxy and Bondo." 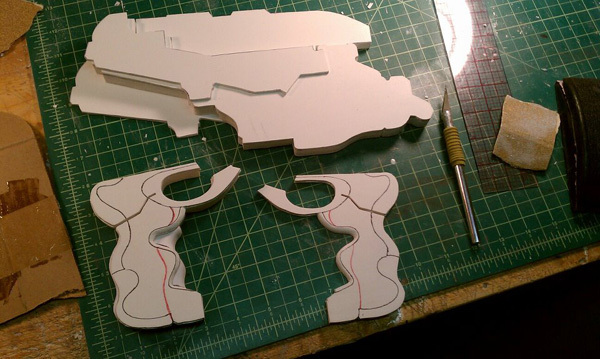 He built it into four separate pieces, with grooves and tabs for assembly, in order to facilitate molding and possibly the addition of electronic components. "I am beyond stoked about how this one came out," he wrote. 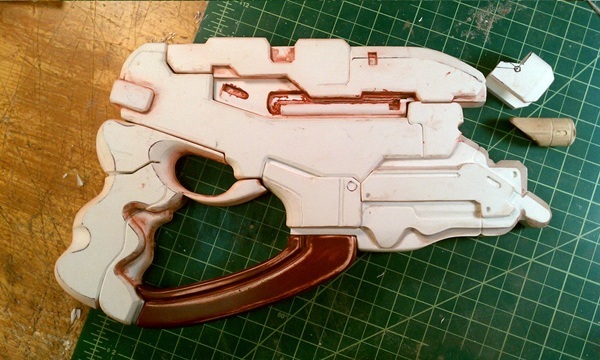 "I may even paint one up and keep it for myself!" 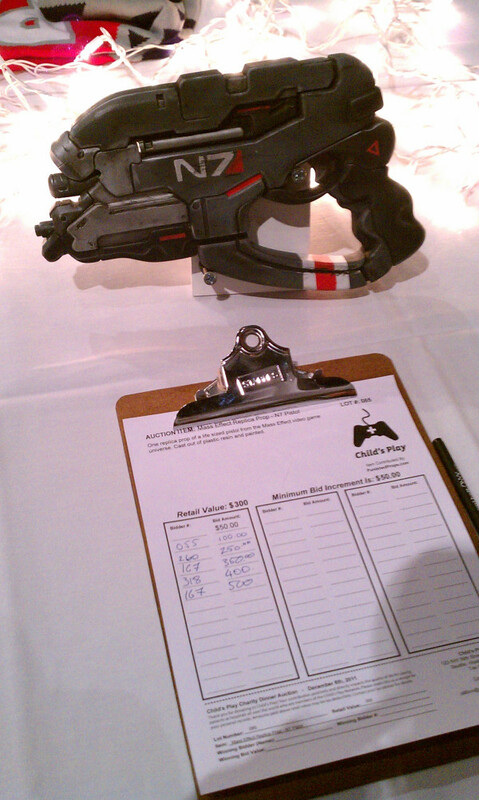 One of the replicas went on the block at the Child's Play Charity Auction Dinner on December 8, with bidding going at least as high as $500. 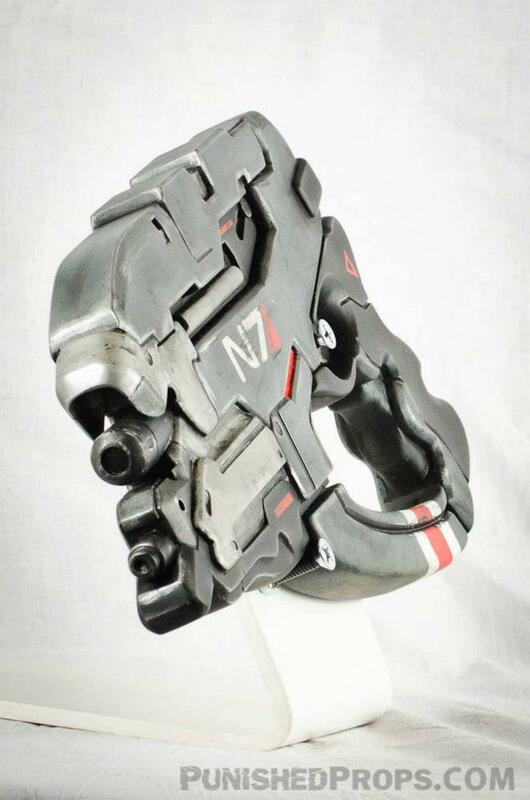 But not to worry if you missed it: if you're a Mass Effect fan with some bucks to throw around, it sounds like you can have one of these for your very own. "Please don't shoot anyone," he wrote in response to an admirer who asked who he had to kill to get one. "Just email me."